This sparkling debut pulls out all the stops: sweet, sad, hopeful, funny, and romantic in turn, it’s a story bound to make readers laugh even as they cry. Available wherever living people get books. We read. We write. We eat snacks. Come to Barnes & Noble! Barnes & Noble is opening its doors for two FREE writing workshops aimed at middle and high school students. 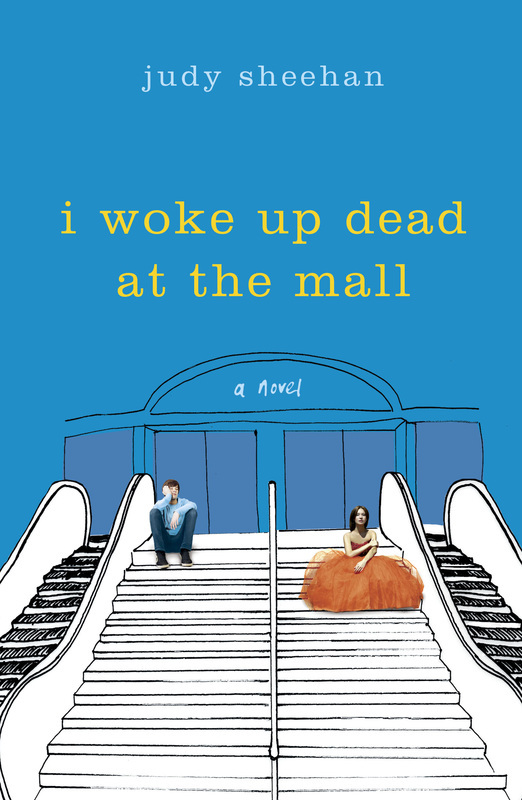 Hosted by author, Judy Sheehan (I Woke Up Dead At The Mall), this inter-active workshop will focus on building a unique writing voice, and a new appreciation for summer reading. Learn about how to make your writing yours. Not mine. Are you a teacher? A librarian? A student? ​We can arrange a Skype session for a class discussion and maybe even a writing workshop. Sounds like fun. Come Visit My Classroom. "A gift from the writing gods." 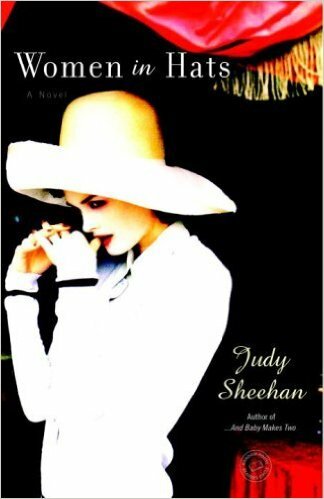 "A feel-good novel about being dead? Only in this quirky, even romantic novel." "Unique — and quite frankly, brilliant... It’s a backwards way of looking at grief, and that’s what makes this book work so brilliantly! ... The humor and writing in this book is just so damn witty. It adds an unexpected but delightful spice to a book about an otherwise very serious subject: death, and solving a murder. I mean, the smarts involved just in thinking up such a wildly unexpected combination deserves some applause." "Perceptive, moving, and often comic, Sheehan is a gifted writer who manages to juggle a panoply of characters with style, skill, and above all, wit." 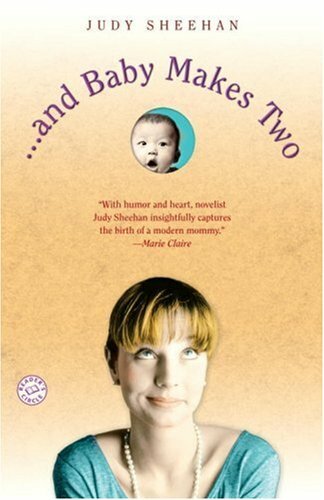 "With humor and heart, novelist Judy Sheehan insightfully captures the birth of a modern mommy." "Rife with suspense and whip-smart prose." This was ridiculously fun: My Book, The Movie, as directed by Joss Whedon. ​More? Be patient. There'll be more. ​I woke up dead. At the mall. Still dressed in the (hideous) mango chiffon bridesmaid gown I was wearing when I died. My hair was still pulled back in an elaborate ponytail that was meant to look windswept, but trust me, it would have survived a tsunami. This proves that if you use enough product, your hair can endure things the rest of you can’t. My shoes sparkled in the light. My French manicure was unchipped. I was surrounded by waves and waves of mango chiffon. I knew without even a tiny flicker of doubt that I was dead, but I didn’t want to know it. (By the way, that’s my specialty: knowing things I’d rather not know.) And just for the record, I didn’t have the white-light-and-loved-ones-coming-to-welcome-me-because-death-is-a-wonderful-thing transition to the afterlife. Oh no. It felt like I was on a malfunctioning ride at Six Flags and the staff had abandoned us in an electrical storm. I rose up, up, up and took a sharp turn to the right, then a big drop, then a loop, then suddenly rose up again, going faster. So yes, my afterlife started with motion sickness. Nice. And now I just wanted to slow down the rushing river of panic that was flowing through my veins. FYI: mango chiffon will make you sweat more than usual. He yawned and checked his phone. Why? Because he couldn’t see or hear me. Why? Because he was alive and I was dead. New York City was where I lived and where I died before my time. And you could say that Manhattan is a giant mall, with subways in place of escalators. This was my first Minnesota visit, and so far, sorry, no, I was not enjoying it. I stayed on my modular brown sofa bench, in my ugly dress and shoes, rocking back and forth, holding myself together at the elbows. It seemed like the thing to do. There were roller coasters off in the distance, so the rumbling sounds of passing conversations were punctuated with high-pitched screams, which was sort of perfect. Keep screaming. But then the screams stopped. The crowd thinned out. I watched the shoppy shoppers head home to face their buyer’s remorse. And now is the time to say that this mall was huge. It was ridiculous. It was stupid big. It was like a massive, fake, shiny city. The bright, patriotic Mall of America sign was like a colorful North Star. There was a kiosk with a cheerful and insanely complicated map. So, this place was four stories tall, a million miles wide, with approximately three billion stores. Plus roller coasters. There was a big TV screen above the map, which suddenly lit up and blared out an ad for CBS This Morning. It was loud, bright, and absolutely terrifying. I stared at it like it was a roaring dragon. But it stopped mid-sentence as the lights began to dim all around me. One by one, the escalators stopped moving. The mall turned sort of dark, but it wasn’t empty. It still had me. Off to my right, I saw something move. A person. No. Two people. No. Three. They were walking toward me. Slowly and at an even, steady pace. A chill zapped me from my spine to my skull. “Hello?” I called out. “Can you hear me? Can you see me?” I stood up and got a better look at them. All three were youngish, all staring off into the distance as they walked toward me. Closer and closer. The escalators were stopped, but I leapt upward, two steps at a time, to the next level. I mentally kicked myself for not watching any zombie shows when I’d had the chance as I turned and saw two more, walking along on this level. I leapt to the top floor, with nobody following me. They just kept walking, as if they hadn’t noticed me. Youngish, spaced out, silent. Were they everywhere? I stood in front of a darkened multiplex and asked, “Now what?” right out loud. The deep, hard silence all around me was interrupted by a click-clack click-clack coming from the escalator. I spun around and caught sight of a pair of truly unfortunate shoes, worn by a cheerful young woman speed-walking toward me. She wasn’t a slow-walking zombie. And. She could see me. “Hi there!” she said, confirming that yes, she really could see me. “They were having some very big sales today or I would have found you sooner. You picked a busy day to die, missy!” She had sparkling blue eyes and blond hair braided over her head. She was dressed in a bright blue polyester suit that made her look like she was applying for an internship at Me So Corporate, Incorporated. Her shoes were like horses’ hooves. “You have unfinished business, Sarah. You were murdered, and you’re a bit upset about it.” She said this as if she were saying, Oh, you spilled the milk, but don’t cry over it, okay? “Oh dear me.” Bertha sighed and led me to a side exit marked Authorized DTTW personnel Only. alarm will sound. She pushed past as if she had all the authorization in the world. And after all that warning, we just ended up in a Bed Bath & Beyond. “Aren’t you just a bundle of unfinished business!” She took my hands (!) and sat me down on an ugly ottoman, while she sat on an even uglier one. “What does DTTW mean?” I asked, already dreading the answer. (Sorry I asked.) “I may be dead, but I’m not murdered-dead. That’s completely worse,” I reasoned (sort of unreasonably). “But I didn’t have any enemies. Nobody would want to kill me,” I insisted. Because I was right. Bertha just smiled some more at me, which became more and more infuriating. The Boy? What boy? I looked around, but Bertha kept talking. It was as if this were a long, memorized speech (badly performed) and if I interrupted her, she’d have to start over. And nobody wanted that. She cleared her throat, crossed her feet at the ankles (so ladylike), and clasped her hands in her lap. “What, like group therapy for the dead?” I smirked, trying not to throw up in my brain. “What if I can’t?” I just had to ask. Funny. These seemed like pretty good questions to me. But before I could respond, she clapped a white bracelet onto my wrist like a handcuff. It changed to a dark crimson red when it came in contact with my skin. She hurried onto an escalator, and I hurried right behind her. “How do I finish my unfinished business?” I asked. “My what?” I asked, even though I’d heard her. I just couldn’t believe her. There they were again: those quiet people, walking slowly through the mall, just like the ones I had seen before on the lower floor. They walked at that same slow, even pace. It was sort of hypnotizing. But I turned my attention back to Bertha. “Why are they walking around like that?” I asked, pointing to the people around us. Bertha’s expression changed from bright to nervous/controlled/badly-acting-another-memorized-speech. “They’re mall-walkers. A bit like zombies but minus the aggressive tendencies,” Bertha explained. “That’s what happens to you if you fail to move on. They’re stuck in a sort of dream state, trapped in their own awful memories.” She shuddered as a sad girl with straw-colored hair stepped past us. “Why don’t you wake them up?” I asked. “Does anyone know who murdered me? And why?” I asked, but she ignored me. Maybe I should have pushed her harder, but I couldn’t. Death started to feel like rain settling on my cheeks. It was here, no escaping it. And soon, I knew, my skin would be soaked. I shook my head slowly. “I’ve got three other fairly recent arrivals, just like you. You’ll meet them tomorrow. All of them were murdered, all of them are young and not quite over it. My specialty!” Her energy level made me wonder about her caffeine intake. It felt as if the mall had just grown ten degrees colder. The knot of fear in my head was sort of like brain freeze. I didn’t think my day could get any worse after dying all alone (in this dress), but it had. “Are you completely and totally sure that I was murdered? Really?” I repeated it louder, harsher, but she waved me away, which I hated as much as I hated having my personal space invaded. She sighed, and it looked like she was trying to remain upbeat while dealing with a fool. Welcome to the Mall of the Dead.